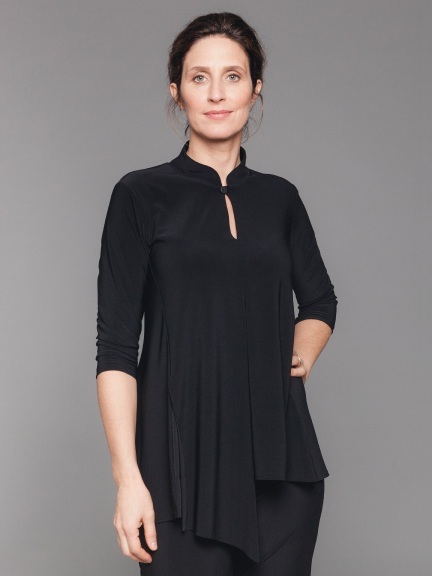 This sleek top has 3/4 length sleeves and a front center seam that leads to a staggered angled hem. A curved Mandarin collar features a functional button at the base to create a keyhole detail. Made from a soft matte jersey in Canada.